Both bilaterally and multilaterally, the EU has made various public declarations denouncing China’s violation of freedom of expression, freedom of religion, and linguistic rights, after the detention and sentencing of Tibetan human rights defender Tashi Wangchuk on 22 May 2018. The Chinese government falsely charged him with “inciting separatism” for supporting the rights of Tibetan to be educated in their native language. In a public statement, EU High Representative for Foreign Affairs and Security Policy, Federica Mogherini, underlined that the EU has been denouncing the arrest of Mr Wangchuk and of several other peaceful activists not only through the European External Action Service, the EU-China High-Level Strategic Dialogue and the EU-China Human Rights Dialogue, but also at the UN Human Rights Council. Ms Mogherini stated that the Union will continue to express its disapproval of the repressive actions of the Chinese government. 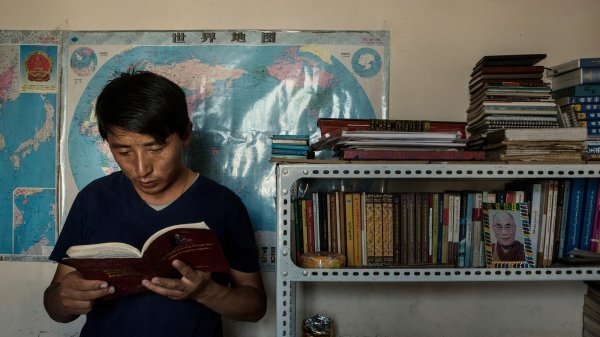 After peacefully expressing his opinion about the repressive linguistic and educational politics imposed by China in an interview he gave the New York Times in 2015, the 33-year-old Tibetan merchant and human rights defender Tashi Wangchuk was sentenced to five years in prison on 22 May 2018. Following an order by the Yushu Intermediate People's Court, Mr Wangchuk had been detained in 2016 for defending the rights of Tibetans to study and learn in their native language. Falsely charged with “inciting separatism”, he has presumably been the victim of mistreatment and torture while in the custody of Chinese authorities. A day after his sentencing, the Spokesperson of the European External Action Service made a statement condemning the imprisonment of the peaceful linguistic rights advocate by the Chinese government. Besides this declaration, the EU has also shown its efforts to push for the liberation of Tashi Wangchuk by addressing the case directly before the Chinese authorities and by requesting that freedom of expression, religious freedom, and cultural diversity be respected. This has equally been publicly expressed at a multilateral level by the European Union's Special Representative for Human Rights, Stavros Lambrinidis, through a declaration at the 37th Session of the United Nations Human Rights Council, echoing the statements of the High Representative of the European Union for Foreign Affairs and Security Policy, Federica Mogherini, who had, in an earlier statement, also urged China to respect freedom of expression. In addition to this, the EU made a declaration within Item 4 (“human rights situations that require the Council's attention”) during the same session of the HRC, urging China to release other human rights defenders and to investigate alleged cases of mistreatment and torture of prisoners. This request was again brought up in June 2018 in a declaration within Item 4 of the 38th Session of the UN Human Rights Council, when the EU expressed concerns about the detentions and trials of human rights defenders and lawyers Wang Quanzhang, Tashi Wangchuk, Wu Gan, Huang Qi, Yu Wensheng, Gao Zhisheng and Li Yuhan and EU national Gui Minhai, reiterating the demand for their release. The case of the unjust imprisonment of Tashi Wangchuk was once again mentioned during the eight round of the EU-China High-Level Strategic Dialogue on 1 June 2018, where the EU High Representative and Vice-President of the dialogue, Federica Mogherini, communicated the EU’s concerns over the situation of human rights in China to Wang Yi, China’s Foreign Minister and State Councilor. In reaction to the sentencing of Tashi Wangchuk, the European External Action Service made a public declaration on 23 May 2018 and the case was addressed at the 36th round of the EU-China Human Rights Dialogue, which took place in Beijing on 9-10 July 2018. With the hope of improving the condition of human rights in Tibet, Ms Mogherini assured that the EU will persist in taking bilateral and multilateral action to urge China to respect freedom of expression and religion, and allow human rights defenders and activists belonging to ethnic minorities to organise peacefully, without being threatened with restrictions and having to fear retaliation by the Chinese government.